Holiday | I think therefore I write! Goa is a favorite tourist destination. But somehow I was not in favor of visiting Goa because I thought it would be crowded or beaches would not be clean. But when I went there, such doubts were clear. I would have made a mistake, if I didn’t come to Goa. 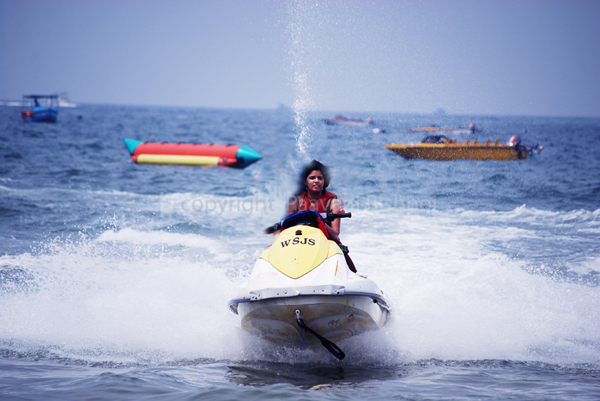 Goa for sure a fun place, as soon you land there you know you are going to have fun. Either you are looking for complete relaxing holiday or some water adventure based package fun & food would be there by default. We stayed in South Goa and rented a cool bike. Tip 1– if in Goa, better have own vehicle else you would be paying a lot to rude auto rickshaw guys or expensive taxis. Anyway bikes/ scooters are cheap to hire. 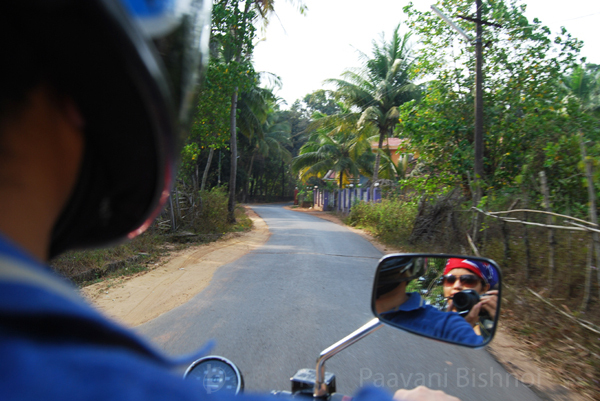 Travelling on bike from south to north goa in itself was a fun filled ride. Narrow but traffic free, clean country roads for sure ignite the lost youth passion of riding a bike with glares on and bandana on head. Tip 2– before getting out from hotel room- put enough of sunscreen. Anyway, you are going to get tanned.